Organic semiconductors (OSCs) are promising materials for cost-effective production of electronic devices because they can be processed from solution employing high-throughput techniques. However, small-molecule OSCs are prone to structural modifications because of the presence of weak van der Waals intermolecular interactions. Hence, controlling the crystallization in these materials is pivotal to achieve high device reproducibility. 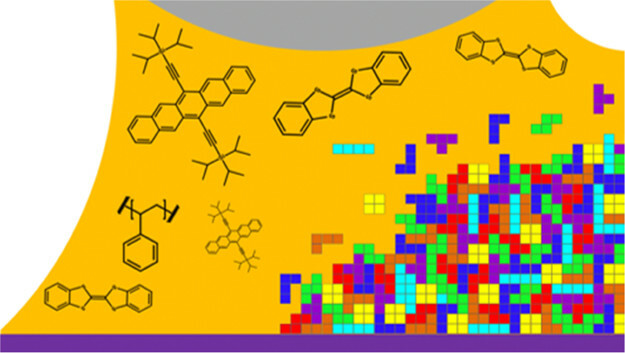 In this perspective article, we focus on controlling polymorphism and morphology in small-molecule organic semiconducting thin films deposited by solution-shearing techniques compatible with roll-to-roll systems. Special attention is paid to the influence that the different experimental deposition parameters can have on thin films. Further, the main characterization techniques for thin-film structures are reviewed, highlighting the in situ characterization tools that can provide crucial insights into the crystallization mechanisms.